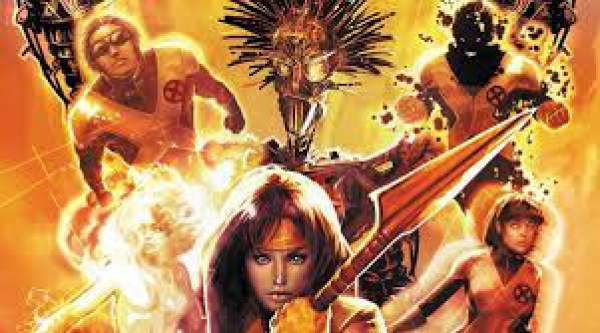 The New Mutants Release Date, Cast: Marvel and Warner Bros are very much outspoken about their upcoming projects of superhero movies, but 20th-century FOX production house seems not to be in a mood to reveal about their one of the most blockbuster franchise viz. X-Men. Apart from the Logan and Deadpool 2 of Ryan Reynold’s all other projects are seems heading to The New Mutants. If our sources are not mistaken, then X-Men: The New Mutants, will be based on the longstanding spinoff comic and it will be the story of younger superhumans (mutants) supervised by Professor X. Hence, apart from the Cyclops, Jog on, and Jean Grey, there will be other mutants also. As there are no official announcements by Fox, we do not have the whole list of character star cast yet. The director of the movie will be Josh Boone, The Fault in Our Stars fame. The official announcements have been close to zero. Previously, there were rumors that Charles Xavier will be the part of the upcoming film and later Actress Anya Taylor-Joy also confirmed it. She revealed that James McAvoy will join the team as a team’s psychic leader (McAvoy was co-actor Anya Taylor-Joy in Split). X-Men: Apocalypse actress Alexander Shipp – who played Storm – is also said to be returning. Some reports were also stating that Taylor-Joy will play the role of Illyana Rasputin-aka Magik who is the sister of X-Men mainstay Colossus. Nowadays, the media also indicates that she is all set to be the part of the film. The same report is claiming that we will see Taylor-Joy in Game of Thrones as a lycanthropic shapeshifter Wolfsbane. The excitement of McAvoy can be seen on the set of M Night Shyamalan’s Split where he showed animated test footage to his colleagues. See: Percy Jackson 3 Updates. 13 Reasons Why star Henry Zaga and Stranger Things’ Charlie Heaton are also joining the cast as Brazilian mutant Roberto da Costa/Sunspot and Sam Guthrie/Cannonball respectively. Others include The Originals’ Blu Hunt as Danielle Moonstar/Mirage or Psyche. Elysium actress Alice Braga will play Cecilia Reyes, a medical doctor with defensive shield powers. X-Men: Apocalypse actress Alexandra Shipp will reprise her role as Storm, but Michael Fassbender’s Magento seems out of the equation at the time. As per the several information updated by Boone’s on the social media, it is obvious that he will have a classic new lineup of Mutants. It is said that the plot of upcoming movie will be closely related to that of classic magazine. It is as follows. The Original X-Men had started in 60’s but as time passes this team grown has older and hence above team is the replacement for the original X-Men and was introduced in 1982. Talking about the plot, we can infer from the aforementioned animated snippet that the villain of the film will be a psychic monster connected to Mirage, her Native American heritage and a classic new mutant named Demon Bear. This Bear is not witty and hence, we can expect more human villain in the movie. If everything goes well then Boone is planning to get a trilogy of NewMutants adventures. It seems that Demon Bear may not be the sole villain. Rumors suggest that the post-credits scene will feature the classic X-Men bad guy Mr. Sinister. The release dates of New Mutant have been announced. Adding a golden feather to your entertainment X-Men: Apocalypse sequel Dark Phoenix will hit the theaters in 2019. Earlier, The New Mutants was supposed to be released on April 13, 2018, but the date was postponed not one but two times. The latest known date is August 2, 2019. The filming has already been ended in September 2017. Post-production work is in the progress. The first trailer has been out a long time now. It seems to be leaning hard on another non-action genre, horror and not Westerns this time. As seen in the teaser, the young mutants are kept in some kind of creepy asylum. X Men: New Mutants has given a working title of ‘Growing Pains.’ It sounds angst-a-licious!